We hope that you’re doing well as summer winds down and we approach September – Prostate Cancer Awareness Month . As we provide you with the September issue of the Hot SHEET newsletter , it's a great time to give a special shout out of thanks to Dr. Gerald Chodak and Dr. Mark Moyad for their columns that appear each month in the Hot SHEET . We certainly appreciate their ongoing dedication to volunteer their time and medical expertise to help educate all of us through the content that they provide. Thank you, gentlemen! We’re very excited to be launching our latest Us TOO web page that provides objective, educational information focused on Genetics and Genomic Testing ! Learn how testing may help gauge the risk level of prostate cancer or predict disease recurrence. If you haven’t yet done so, you might also want to check out another recent addition to our digital content -- The Us TOO Prostate Cancer Clinical Trial Finder . It’s a free service that simplifies the process of identifying clinical trials by matching a patient’s profile with relevant clinical trials. The 3rd Annual SEA Blue Ribbon Walk in Rochester, NY , was held on Saturday, August 19, and proved to be another successful event! We thank support group leader Patrick Fisher and his team of organizers, volunteers, sponsors and participants for raising awareness and funding for prostate cancer S upport, E ducation, and A dvocacy provided by Us TOO. Sun. 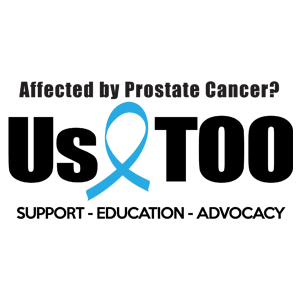 9/10/17 in Chicago, IL: 13th Annual SEA Blue Chicago Prostate Cancer Walk & Run - Join us for the Celebration Walk or 5K Run in Lincoln Park; or register for free to help fundraise as a "Virtual Mover." We appreciate the collective effort from so many of you across the country as we work together to raise awareness for prostate cancer during the month of September – thank you!